Are you kidding? 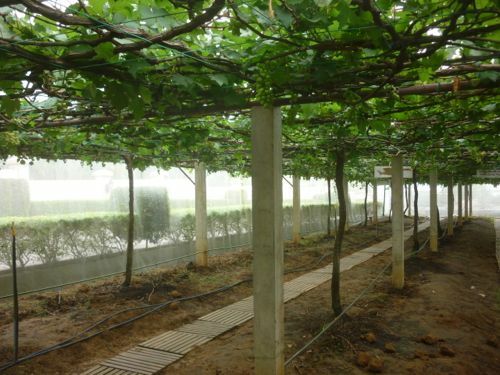 A vineyard here in Malaysia? That was my reaction when I heard about this. 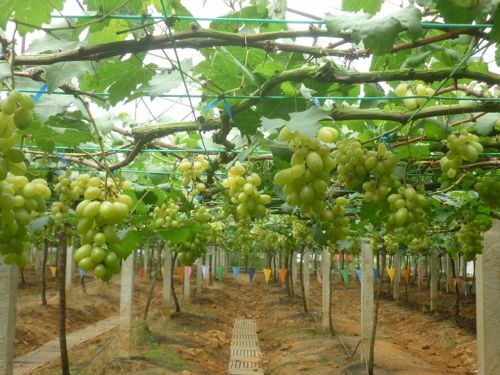 Having a vineyard is not possible in a tropical country like Malaysia – which is hot and humid throughout the year. But time has changed. We have our very own vineyard in the northern state of Kedah. It’s not hard to find the place and it’s located next to Beris Lake (Tasik Beris). To get there, exit Gurun from North South Expressway. After toll at the junction, turn right heading Jeniang and Sik. The journey takes about an hour (Let me warn you: It’s a long and boring road but you have a chance to see first hand the village and remote areas of Malaysia). 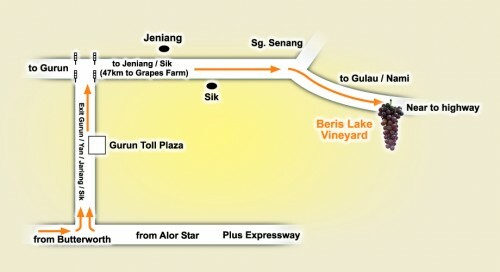 Beris Vineyard is located right before Tasik Beris, on the right. It’s right after Sik town. The vineyard is of course not as big as what you see in the US or Australia. The purpose for this is to open to the public for educational purposes. Only one section of the vineyard is open to visitors. The vineyard started in 2007 and the operator who runs the vineyard has another vineyard which is bigger in another location. After buying the tickets at the Sales Gallery, you can get real close to the plants. But you are not allowed to touch and pick the grapes, of course. 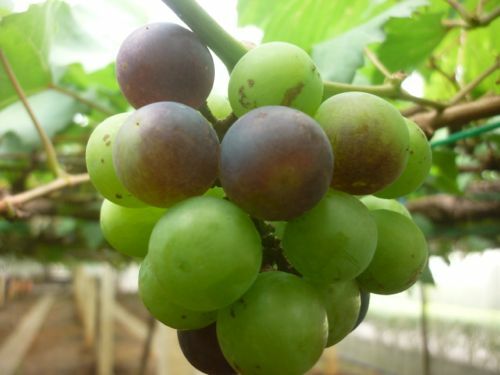 Besides tickets, one can also purchase grapes from the vineyard, souvenirs from the Sales Gallery. We bought some grapes and they tasted quite good despite they were locally grown. There you have it. You don’t need to travel far to see a vineyard because you have it in your own backyard, so to speak. 08200 Sik, Kedah Darul Aman. Entrance tickets: RM4 for adults and RM2 for children. For bigger map, click here.